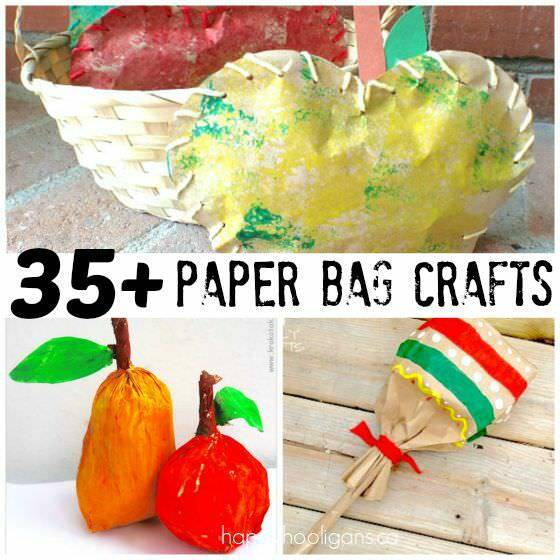 Here, you’ll find over 35 fun paper bag crafts for kids to make! Pick up a package of paper bags and keep them stashed in your craft room! 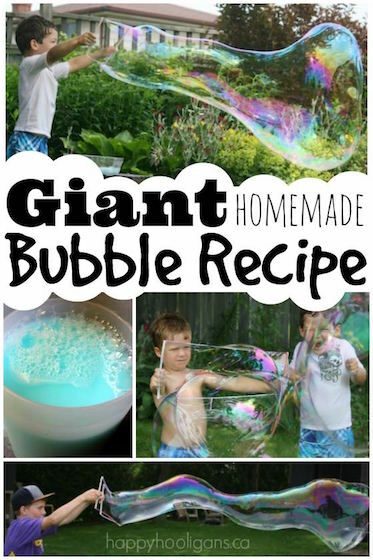 Your kids can make so many cool things with them! 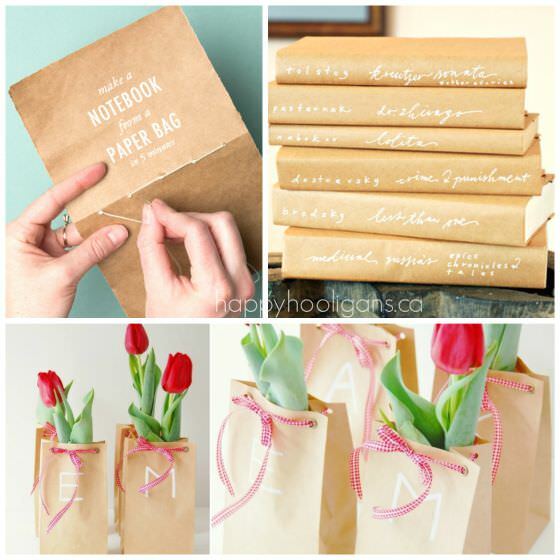 Bet you never knew there were so many cool things you could make with a paper bag! 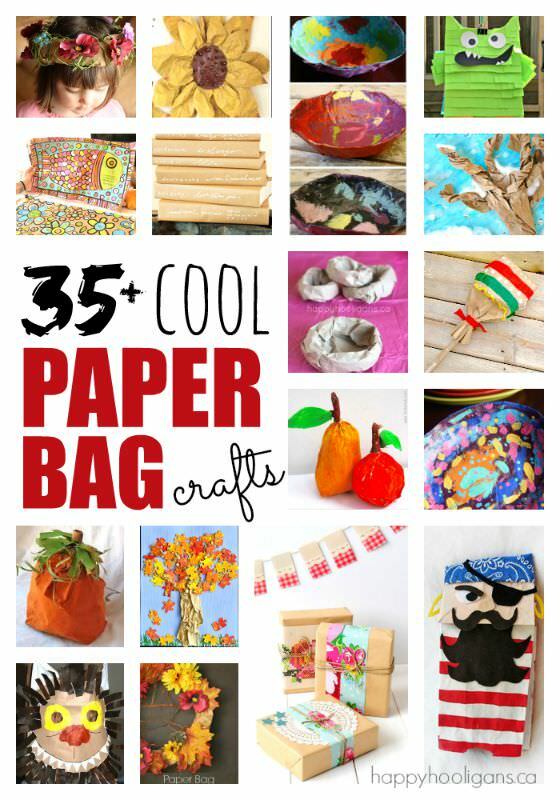 In this collection you’ll find paper bag crafts for all seasons and for all ages. Yep, there are even some classy ways for you to use a paper bag, Mom! 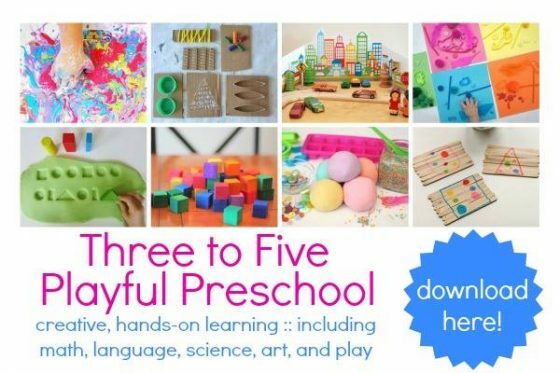 As you know, we love to craft with recyclables here in my home daycare. It keeps our crafting costs down, and it’s better for the environment when we craft with items that would be thrown in the trash otherwise. It also makes it very easy to pull a craft together when you don’t have to run to the craft store to buy your materials. Today, I’m going to show you a ton of crafts that you can make grocery bags, lunch bags or whatever paper bag you happen to have on hand. In my stash of craft supplies, I always have a variety of paper bags because they’re so versatile when crafting. They’re strong and sturdy, you can paint them and colour them, and best of all, you can scrunch and twist them into just about any shape you want. I’m actually really excited about this round-up! 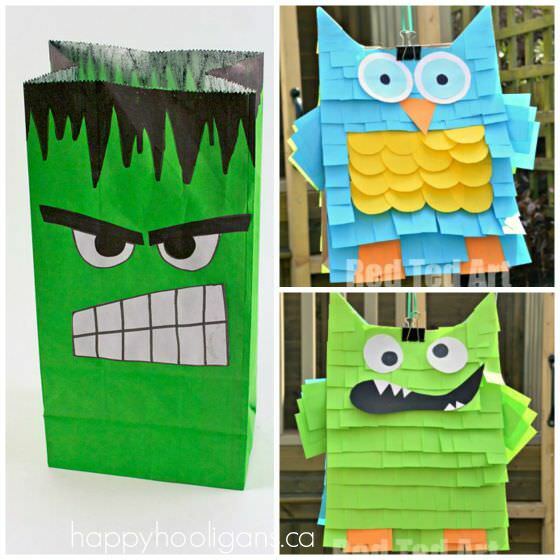 I started off wanting to share our own paper bag crafts with you, and then I got poking around the internet looking for more to add to the collection, and HOLY MOLY! 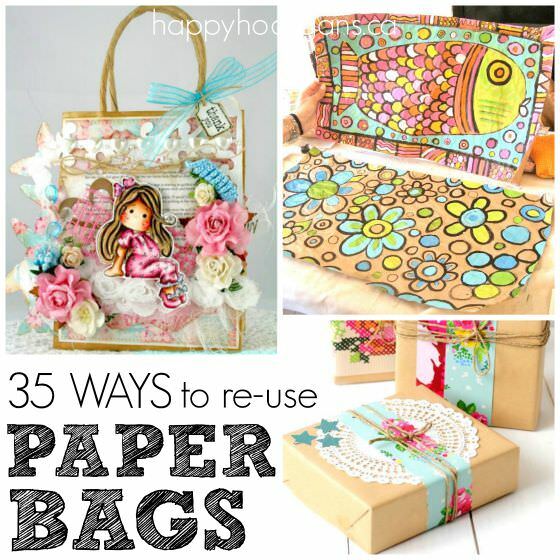 There are a ton of fabulous paper bag crafts out there! I think of all the craft round-ups I’ve worked on over the years, this one has been the most fun to pull together! 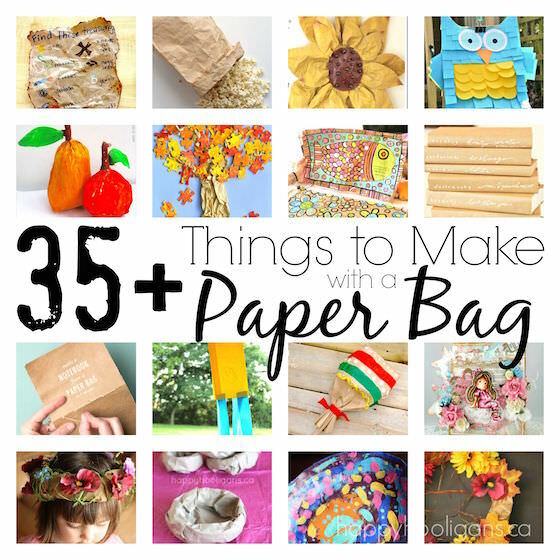 35+ Very Cool Things to Make with a Paper Bag! Please click on the links below the images to get the details instructions for each craft. We’ve made a number of head pieces over the years out of paper bags. Our paper bag tiara turned out beautifully. The preschoolers glued artificial flowers to a rolled up paper bag to make them. They’re perfect for dress-up play. 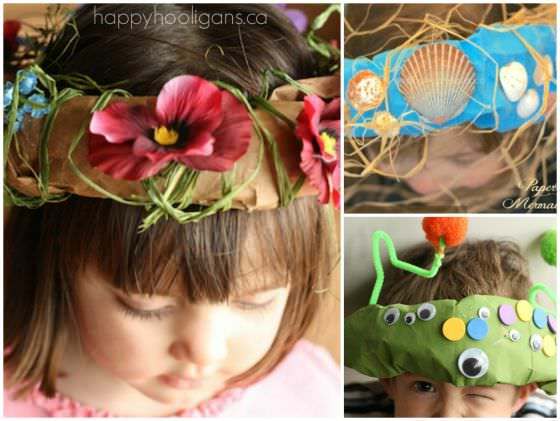 Our mermaid crown is another paper bag head piece that the hooligans use for dress-up play. 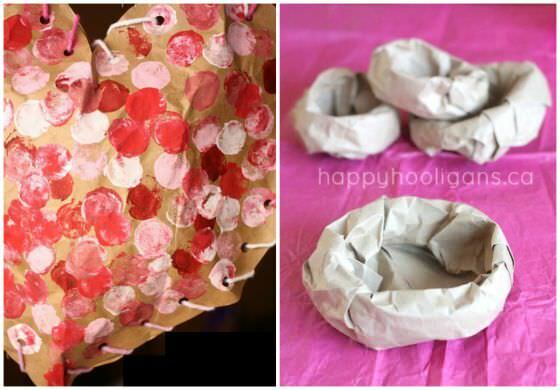 A paper bag, some paint and a few shells, and raffia are all you’ll need to make one. And our monster or alien head piece makes a great addition to a Halloween costume. 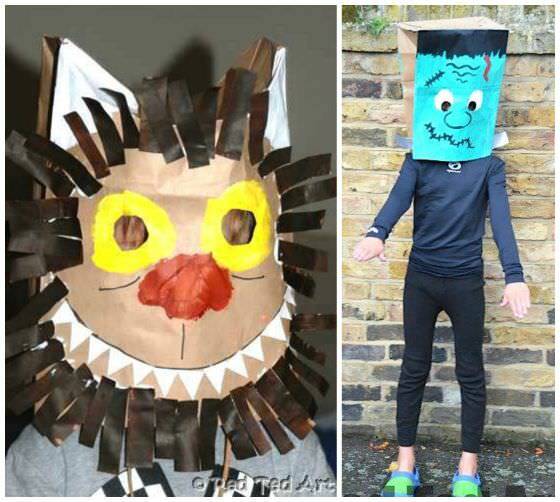 Pop over to Red Ted Art to find out how to make this awesome Wild Thing Paper Bag Mask and her Frankenstein mask as well! 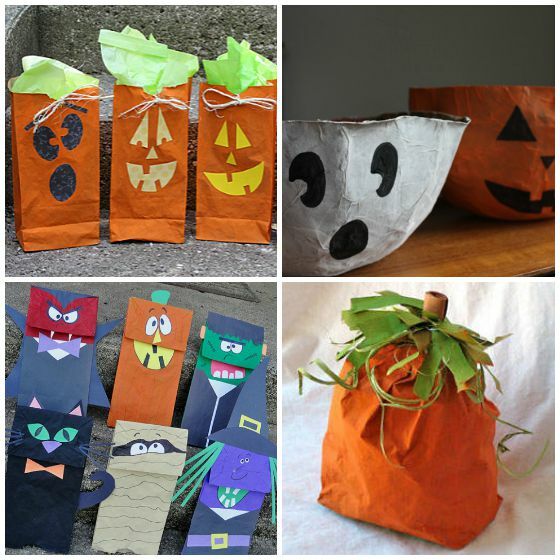 And speaking of Halloween, here are some really cute ways to use paper bags for your Halloween festivities! 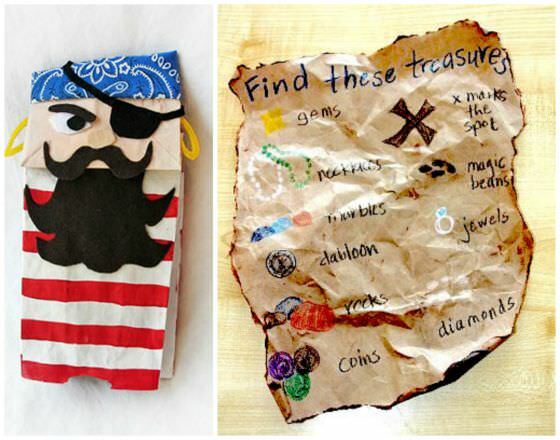 Arrrr, Matey, do you want to make a paper bag pirate puppet? Well, you’re in luck! 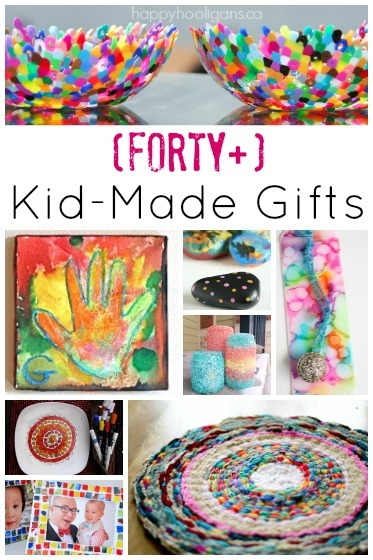 Crafts By Amanda will show you how! And, speaking of gift wrap… I love how a few scraps of fabric and lace turn a brown bag into a charming and rustic wrap job. – Tweelingen Design (The site is not in English, but it’s gorgeous so have a look around). 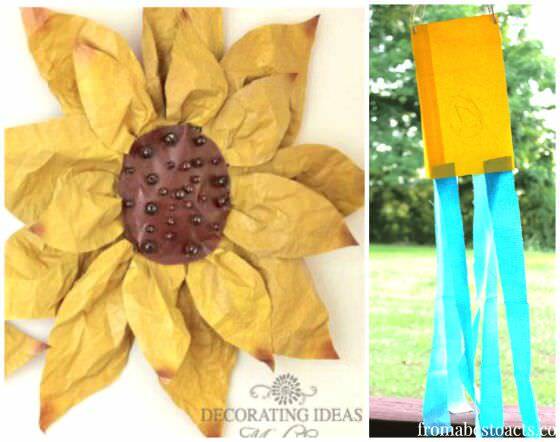 Look at these incredible paper bag sunflowers! 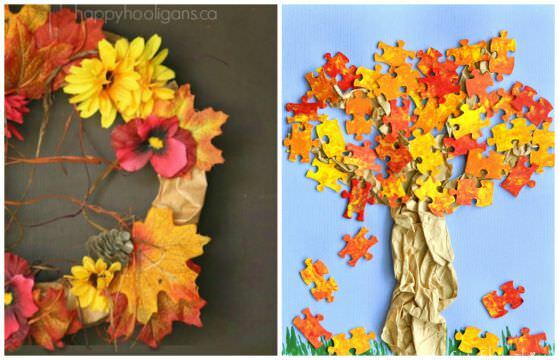 They’d be beautiful as a fall decoration at home or in a girl’s bedroom. They’d be lovely in a classroom too. 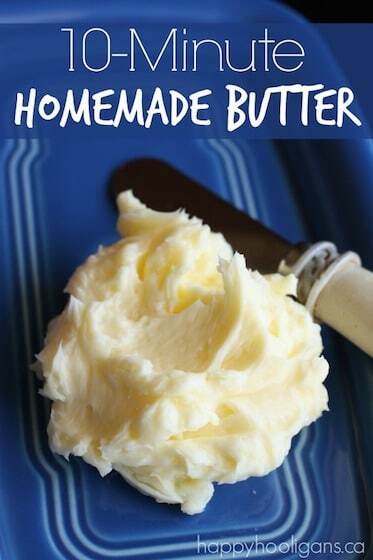 They’re actually quite easy to make! 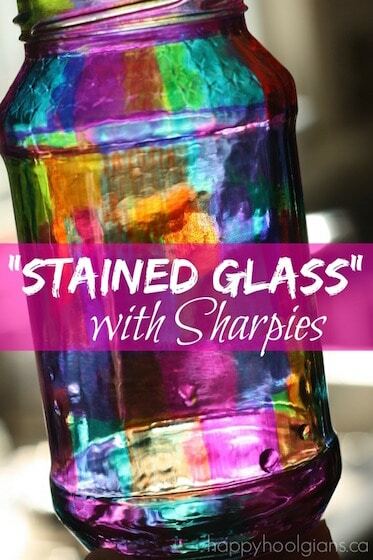 Jennifer Decorates will show you how. 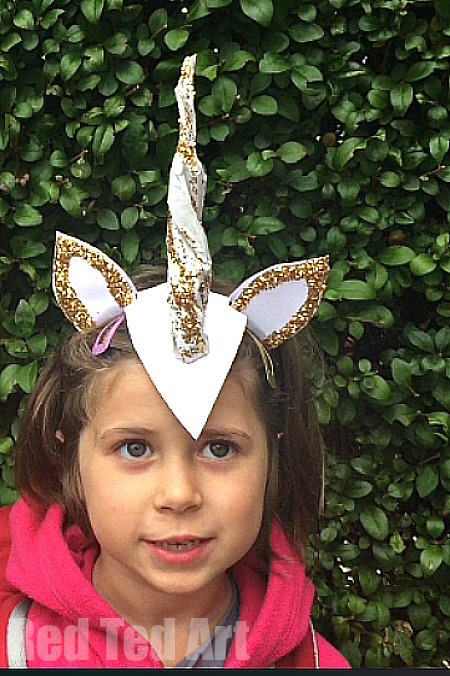 If your child wants a piñata but you don’t want the added expense, make your own piñata from a paper bag! Can you guess what Red Ted Art used for the feathers and fur on the pinatas above? 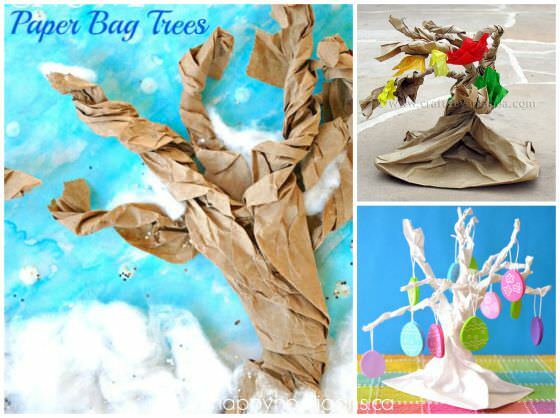 a paper bag Easter tree that your kids can decorate with small homemade ornaments. And of course – one of the most classic uses for a brown paper bag… Oh, this one brings back memories! Remember doing this in school? I couldn’t find a source for this photo, but I fell in love with it, so please do tell me if it’s yours. I’ll be happy to give you a shoutout here and link to your blog post. In the meantime, you can find out how to make a simple paper bag book cover here, at Wiki How. I adore the crisp, clean simplicity of these paper bag vases. 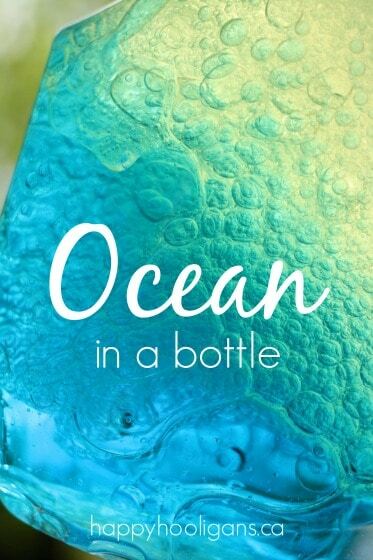 They make beautiful take-home favours for guests at a wedding or a formal reception. Pop on over to Project Wedding to learn how to make them. 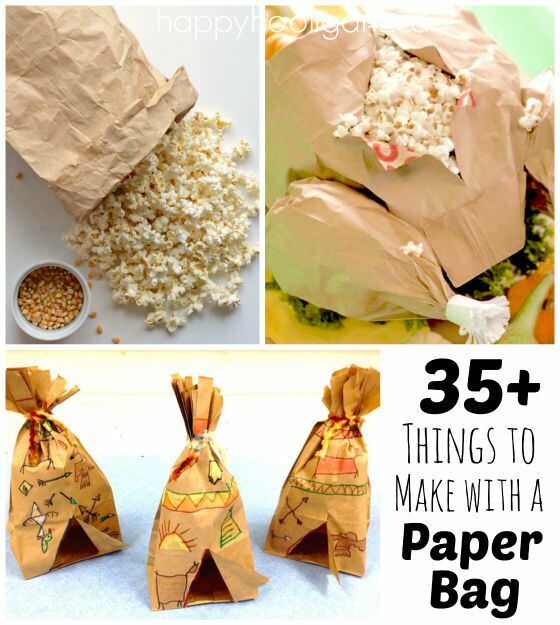 And my last paper bag activity is really creative, and a whole lot of fun! We turned a brown bag into a magician’s hat, and filled it with all kind of magic-making accessories. The hooligans often use this homemade magic kit to put magic shows on for each other here in my daycare. 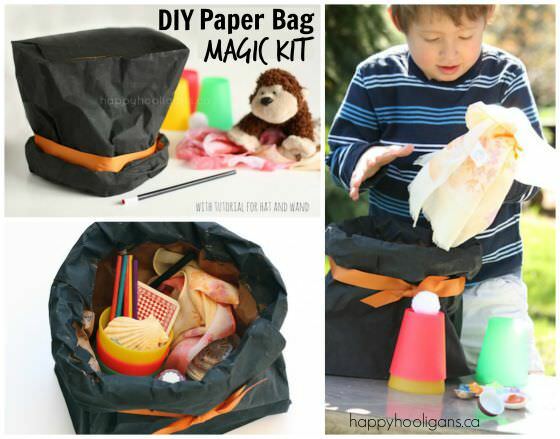 You can read all about what we filled the hat with and how the hooligans play with this this magic kit right here on my blog.